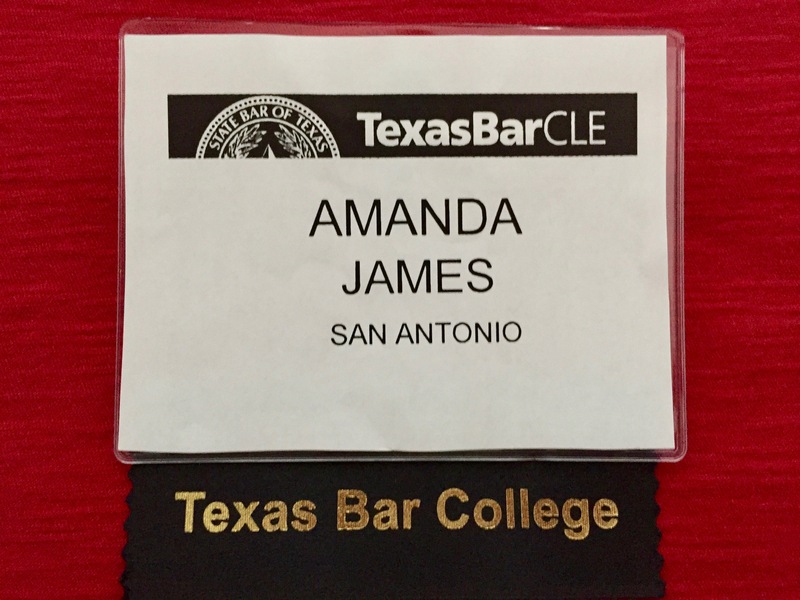 I recently attended the Texas Bar College Summer School Continuing Legal Education Conference in Galveston, Texas where I became a member of the Texas Bar College. It is an honor and privilege to be a member of this honorary society of lawyers. The Texas Bar College is the only organization in the United States that honors and recognizes attorneys who are committed to their legal education well after law school. After being established as a committee of the Texas State Bar by the Texas Supreme Court on December 14, 1981, the Bar College has had a rich history of lawyers who have maintained and enhanced their professional skills by voluntarily attending continuing legal education classes even before the mandatory continuing legal education rules were enacted that required Texas lawyers to attend a minimum of fifteen (15) hours each year. In 2001, the Texas Supreme Court amended the 1981 order and re-established the Texas Bar College as a separate bar-related entity. Today the Bar College recognizes its members for their professionalism and contributions to continuing legal education. to sponsor or otherwise assist in educational activities of significant merit and widespread relevance and applicability to the legal profession. To become a member of the Bar College, I had to acquire 80 hours of continuing education hours over the past three years and will have to acquire 30 hours each year to maintain my membership. I am proud to be a member of such a prestigious organization. As a former educator, I recognize the importance of continuing my education and keeping abreast of the latest changes in the law in order to provide the best legal representation to my clients.